Ready to take the next step in your career ... but not sure what's holding you back? Read on. Leadership expert Sally Helgesen and bestselling leadership coach Marshall Goldsmith have trained thousands of high achievers-men and women-to reach even greater heights. Again and again, they see that women face specific and different roadblocks from men as they advance in the workplace. In fact, the very habits that helped women early in their careers can hinder them as they move up. Simply put, what got you here won't get you there ... and you might not even realize your blind spots until it's too late. Sally and Marshall identify the twelve habits that hold women back as they seek to advance, showing them why what worked for them in the past might actually be sabotaging their future success. 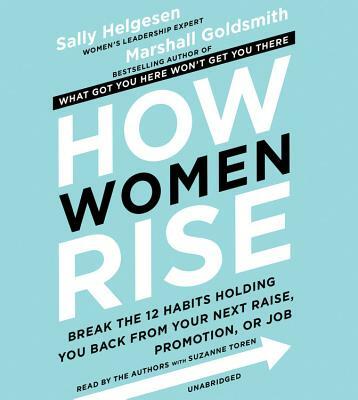 Building on Marshall's classic bestseller What Got You Here Won't Get You There, their new book How Women Rise is essential reading for any woman who is ready to advance to the next level.